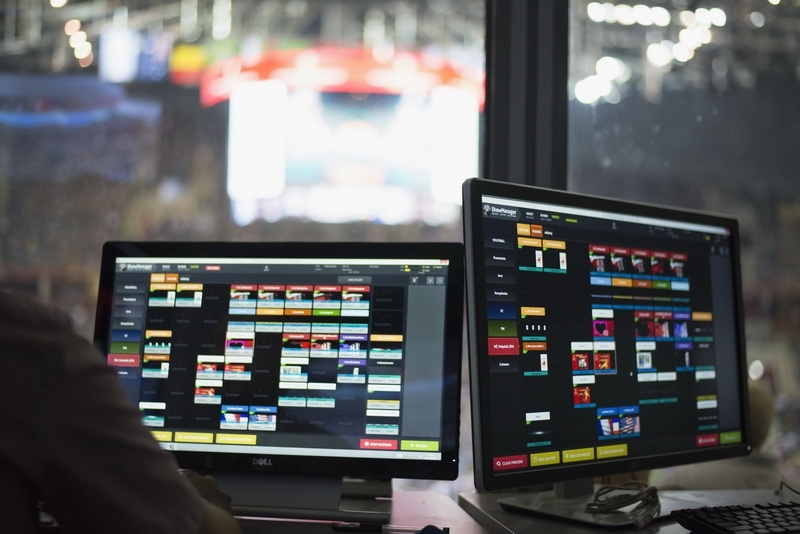 Colosseo’s Show Manager lets game operators manage and synchronize animated content on all LED screens in an arena, from the main scoreboard to courtside ribbons, fasciae or perimeter strips. The full-featured animation engine has an unrivalled feature set for easy and fast operation. Simple-to-set-up programs for penalties, scoring, period breaks, etc. reduce the number of staff required to run an in-game performance. Built into the Show Manager are Colosseo’s design tools that let the stadium’s creative team design a complete game experience the fan will never forget; from pyrotechnics on 360-degree wrap-around HD LED displays to unbelievably clear sound from Colosseo speaker arrays. These same systems deliver to advertisers an unrivalled opportunity to reach fans through the most dynamic stadium system ever. Messages can flow throughout the stadium, shifting seamlessly from scoreboard to perimeter strips, even appearing on the stadium webpage as fans study stats, replays and camera angles. 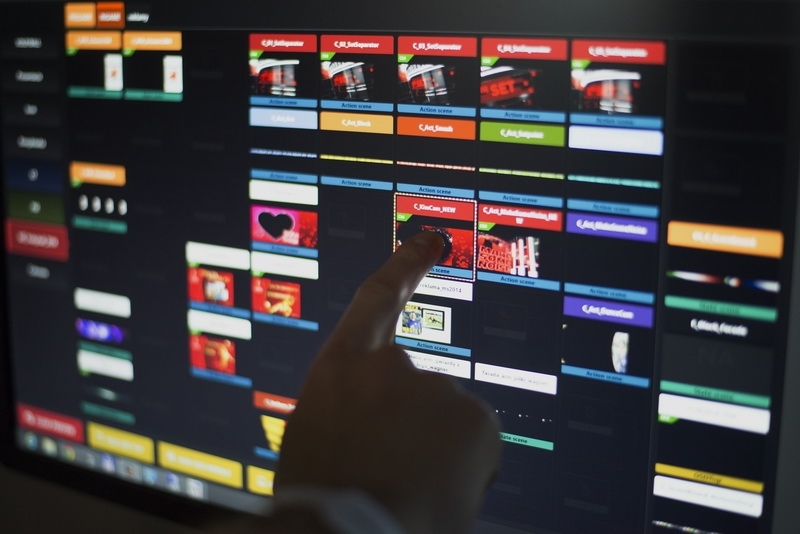 The Colosseo Show Manager uses exceptional 3D technology that helps game show designers not only visualize their presentations during pre-game preparation but also preview them during a live game-show action. 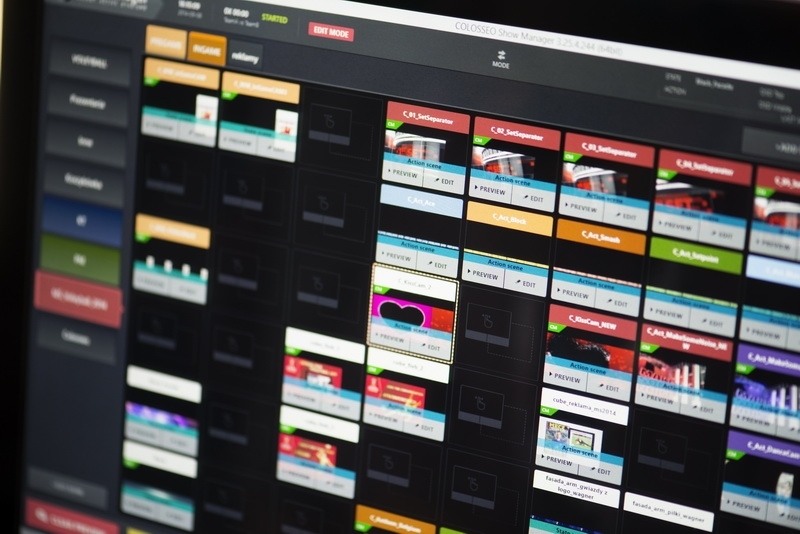 This technology significantly reduces the time needed to manage content; especially in venues where a variety of media are involved and there is a high degree of complexity. Our Unique 3D visualizing technology allows game show operators and designers to easily see what is displayed where during the game show including displaying live video feeds. Our technology is moving game presentation design to a whole new level, freeing operators and designers to focus exclusively on the game show and not on the technology behind it. Another benefit of the exact control on all displays controlled by the Colosseo Show Manager during any game show is, the chances of an operator making a mistake during the game show have been reduced to an absolute minimum.